#NoHashtag s – We have noticed a production lag with server requests related to tagging in the Tinkercad gallery – when users use #hashtags to label designs, filter them, subscribe to them, etc. The existing code structure might be the culprit in the recent performance issues, so to test this we have disabled the #tagging feature to see if it helps improve site stability. We have tried this on the production servers and it seems to be working. For the next week we will be temporarily disabling this feature to test further . We hope that this will improve performance, which is the most important area of focus at this time. Check back regularly for other updates – we want to keep the community up-to-date on our efforts in #fixingtinkercad. Next Fixing Tinkercad – Passwords are Different! Thanks for making the effort to regularly update the user community about the work being put into #FixingTinkercad. This is terrific. Can I ask that these updates be as “real” as possible. Specifically… Please try not to discount the experience users are having by only talking about how great you think things are or by discounting the on-the-ground experience. I know many of us are very disheartened when we’re told that, for example, the site has only been down for 20 minutes in the last 36 hours when our experience has been that it’s been completely unusable during that period. We’re best able to support Autodesk and the engineering team when we feel that we’re also being supported and heard. I can’t think of anything less important to my Tinkercad experience than hashtags in the gallery, although I can think of many features that would be useful. But first, yes, please get it working reliably. It still goes becomes unusable for me every day about 12:30 – 3:s0 EST. Thanks guys! it’s good to see efforts revived! I was afraid tCAD was dead! It’s great to see that you are keeping your users informed. For the first “Fixing Tinkercad” post, I would have liked to have seen an overview of what’s happening with respect to problems and possible solutions with connecting to TinkerCad.com. 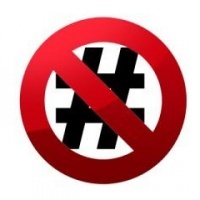 I agree that hashtags seem like a minor issue; I’d never even noticed them. Anyway, glad you’re on the case and please keep us in the loop. I’ve had a similar experience of not being able to get into the site over a period of hours and days when checking periodically. I’d like to start teaching 3D modeling to my students using TinkerCad (by far the best software I’ve found for working with younger students) but I’m hesitant until I know they will have a consistent experience.